32 Cornhill - iNGLEBY TRICE. 32 Cornhill is positioned just moments from Bank station in an elegantly refurbished period building. It benefits from excellent transport links with Bank, Monument and Cannon Street stations all within a five minute walk, providing access to six Underground lines as well as main line rail services from Cannon Street. 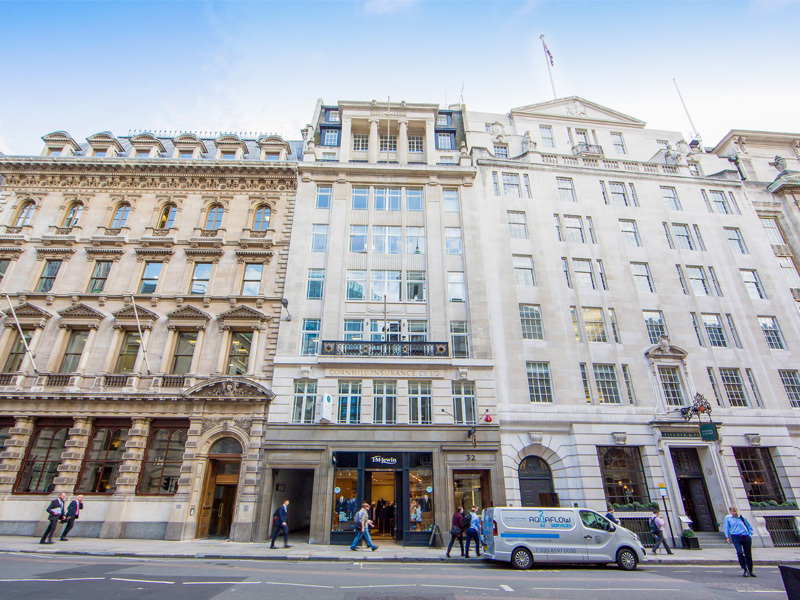 The local public realm is also exceptional with the luxury retail offering at The Royal Exchange, recently opened Soho House members’ club, The Ned, Leadenhall Market and soon to open Bloomberg Place providing staff with a complete local lifestyle package. The 6th floor is fitted out in a high quality, partially cellular layout ready for immediate occupation and is complete with a kitchenette and large board room. LEASE: A lease until 27 September 2020, "outside the 1954 Act".